She’s gearing up to welcome her third child. And Stacey Solomon ensured her sons wouldn’t be feeling left out as she treated her eldest child Zachary, 11, to a holiday. The singer, 29, took to Instagram on Sunday to share sweet snaps from their trip and showed off her burgeoning baby bump in a series of bikini snaps. Stacey looked radiant on the holiday, slipping into an orange bikini that complemented her tanned complexion and exhibited her pregnancy curves. Yet whilst she may have been a vision, the Loose Women star confessed that her son was amused by her changing shape, and had been laughing at the size of her chest. Stacey fell pregnant with Zach at the age of 17, and split with the father Dean Cox ahead of the birth. Four years later, she welcomed her second son, Leighton, now six, with then-fiance Aaron Barnham. 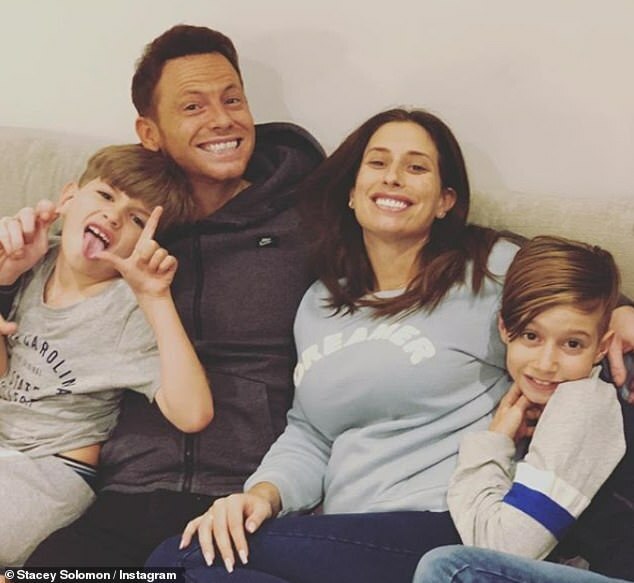 After raising the pair as a single mother, Stacey began dating Joe Swash in 2015., and the couple delighted fans when they announced they were expecting a baby in February. Stacey recently revealed that when their child is born, they will take on both their surnames in a double-barrell before quipping that the child’s name would be Vinegar Swash-Solomon in honour of the food she has been craving during pregnancy. 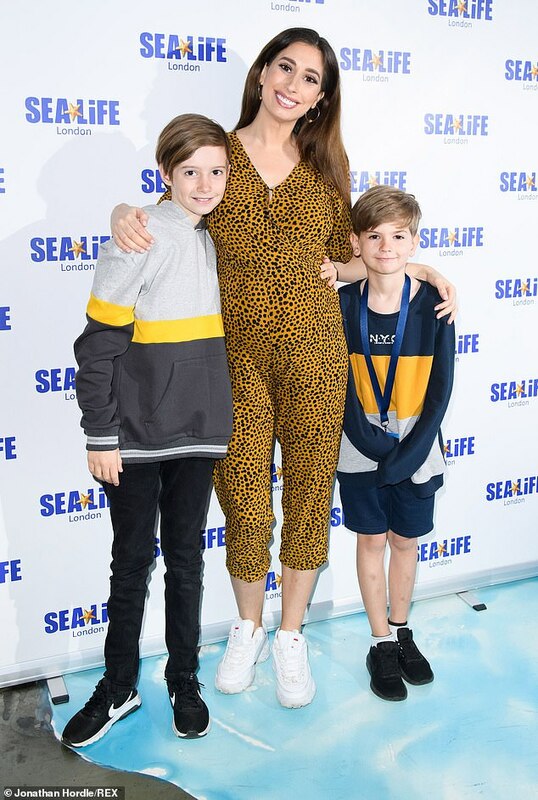 Stacey recently shared with MailOnline that sons Zachary and Leighton are ‘over the moon’ to be welcoming another sibling, however she admitted that sometimes she does worry about how they will adjust.